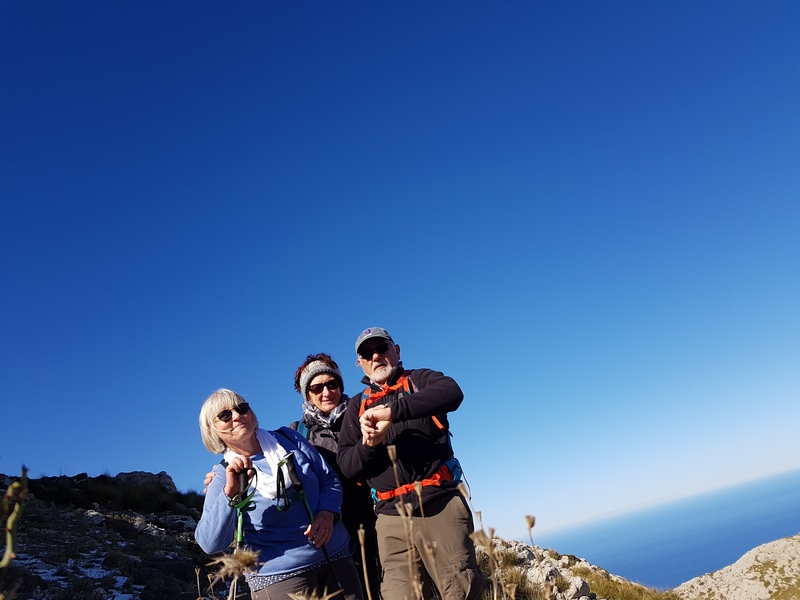 Ulrike, Sheila and I left before 9am this morning and went to Lluc to hike up to the Coll de Prat. The weather was nice and sunny, but above 900 m there was snow and ice. The pass is 1,200m high and there was a bitter cold wind. The views were outstanding and after a 15km hike a beer in the sun tasted very good.